I studied the trumpet, piano and singing at The Royal Academy of Music in London, graduating in 1994. 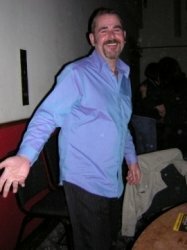 I performed for many years, as well as teaching, and consider myself an all round musician able to teach all brass instruments, as well as the piano/electronic keyboard, singing, music theory composition and arranging techniques. I have been teaching for over 30 years, not only instrumentally but also school class work, peripatetic work, and taught at Derby College on the Performing Arts course as well as Music Technology and Popular Music courses. Every pupil deserves a tailored approach as the needs of each pupil may well be different. I feel strongly that every pupil should not only gain the nesseccary skills needed, but also a good understanding of the power of music, as a performer and a listener. I hold the GRSM Hons. degree ( Graduate of the Royal Schools of Music) as well as Grade 8 in all subjects.